Live in a captivating modern home impeccably designed with dramatic natural light filled open spaces. There is nothing like having architectural elements that allow your indoor living to expand and blend with the outdoor space. 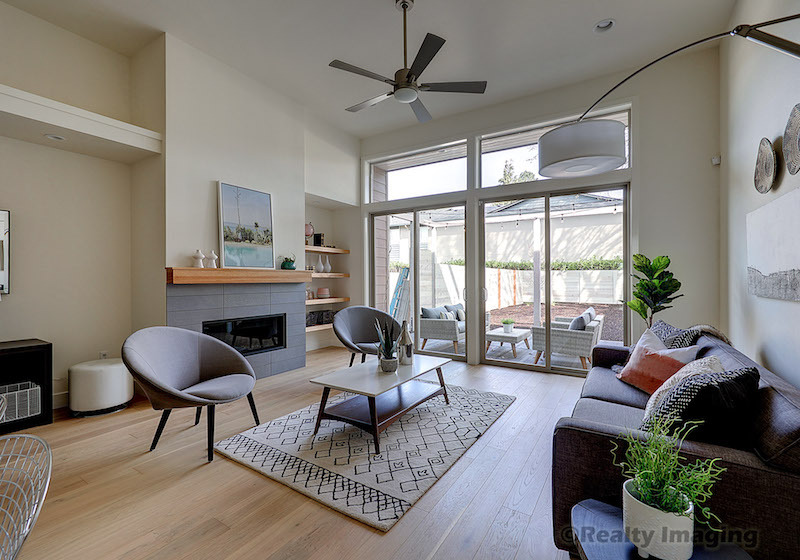 With huge glass sliding doors that open right up to private backyards, these homes are designed to let the breeze in and create an indoor/outdoor oasis in the city. Walk or ride Irvington’s tree lined streets and enjoy its proximity to a great mix of shops, restaurants, grocery stores, theaters and farmer's markets. Located in the heart of NE Portland, Irvington is one of Portland’s best and most conveniently located neighborhoods and is rich with all the urban amenities this city has to offer. All homes include an attached garage, but with convenient access to bike lanes, mass transit and downtown Portland. It is easy to see how walking, biking, or busing may become your preferred mode of transportation. This is truly urban living at its finest. 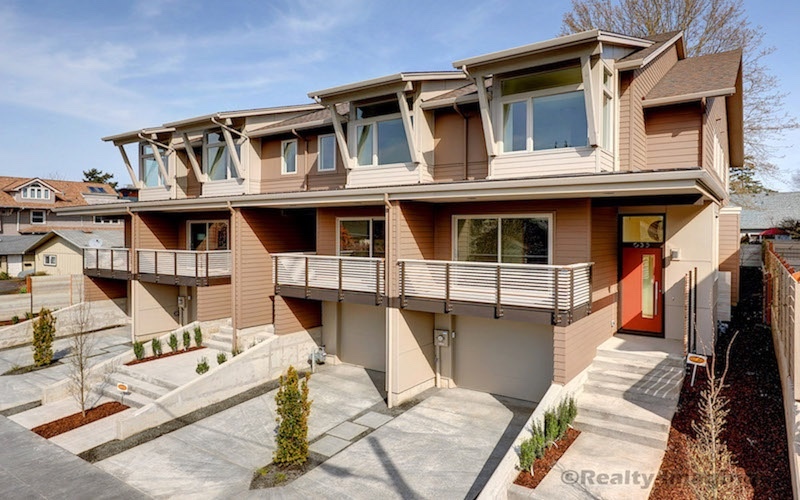 Built by GPB Const., PDX’s most experienced and respected rowhouse builder, this home has all the benefits of an open floor plan: two master suites, custom kitchen with oversized island, and a split level flex space with covered balcony. Built with low maintenance and durability in mind these homes were built to stand the test of time with the latest environmental building standards, and superior energy efficiencies. The Earth Advantage Platinum Rating ensures sustainable building practices and significant energy savings. Earth Advantage Institute certified for the highest environmental and energy efficiency standards, platinum rating pending.